She has over 20 years of hands-on clinical dental experience. Dr. Khan has also worked as a faculty for Dental residency program at Lutheran Medical Center, Brooklyn, NY. She is volunteer faculty at Columbia University, College of Dental Medicine for pre-doctoral program. She is certified Invisalign provider. 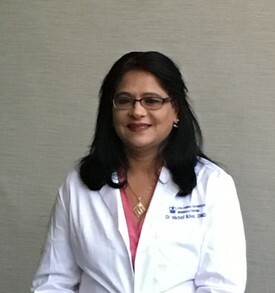 Dr. Khan is committed to providing excellent and exceptional care to her patients through the experience she has gained by working with patients from all over the world. She values patient comfort and satisfaction above all else and strives to build a strong relationship with all her patients. Dr. Khan currently resides in Ithaca, NY with her family. American Academy of Facial Esthetic.